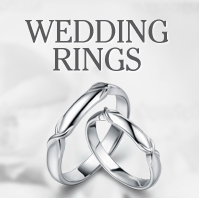 Wedding rings for women come in many different styles, metals, settings and prices. The choice is endless, so the key is to choose a ring which reflects your individual style and taste. When it comes to choosing a wedding ring, it is important to consider budget, lifestyle and design. These are probably the most important factors to take into consideration. As the ring is forever, it is recommended that you buy the finest quality wedding ring you can afford. This should ensure the ring stands the test of time. It is best to go with your gut instinct. If you fall in love with a particular design, providing it fits your budget – go for it! You are likely to prefer it over all other wedding rings you see, so don’t be afraid to go for the first ring you see. 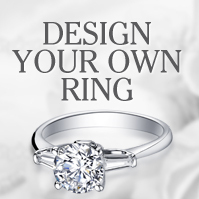 Think about designing your own ring. This way you will get the ring you always dreamed of. We offer a bespoke, design your own ring service specifically for this reason. Consider your lifestyle - if you are a rock climber, a wedding band with diamonds set around the band could get damaged. Think about your lifestyle requirements. Get your wedding ring insured. It is estimated one in four people lose their ring within 5 years of marriage. Leave it to the last minute. If you want to find or create the perfect ring, give yourself plenty of time to find or design it. Pick anything too fashionable – trends come and go, but diamonds are forever. Stick with a timeless design that you will love forever. Get bullied into buying something you do not love. As a symbol of your love, your wedding ring has to be as beautiful as your special day. Design – wedding rings for women do not have to boring. Rings are taking a turn towards the modern and adventurous, so consider different designs and band materials. 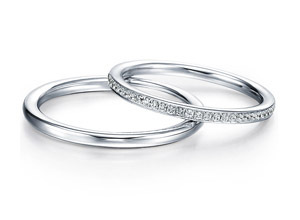 If you are looking to buy matching his and hers rings, buy your wedding bands together. Diamonds –much like when buying an engagement ring, the most important factors to consider when buying a diamond wedding ring is the four C’s – carat, cut, clarity and colour. 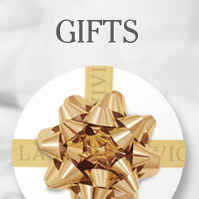 At La Vivion you can select your diamond according to your budget. Choose the shape and setting accordingly. Band Material – the metal your wedding band is made of will affect the cost and style of your ring. Platinum and white gold will make for a more modern style whereas, yellow gold is more traditional.